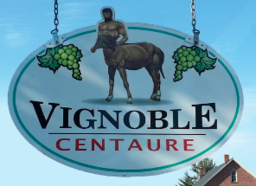 Located Dunham, a small village in the Eastern Townships, the Centaur vineyard will surprise you with its accessibility. It is part of the famous " Wine Road Brome-Missisquoi ". Hosts Nancy and Robert Violy Boulais invite you to discover their beautiful products of the vine.